Challenges confront every species on Earth. Since the dawn of time, they have shaped the planet and every living creature on it. Some of these challenges have wiped out entire species in the never-ending battle of survival of the fittest. Often these battles are pre-determined by the hierarchy of the food chain, but they can also occur in the face of Mother Nature's frequently changing climate. Many of the challenges the human race encounter appear completely out of the blue as giant roadblocks on life's path. When they do, they force a reaction. Many falter. They allow the obstacles to shadow their goal. They see a challenge as fate telling them to quit. But this is not the reason for the roadblocks. They are not there to crush a dream. They are there to instil even more determination to make that dream happen. Throughout history, many have faced seemingly insumountable odds, only to overcome them to achieve their goal. When faced with adversity they are able to muster a greater strength from within. They rise to the challenge. 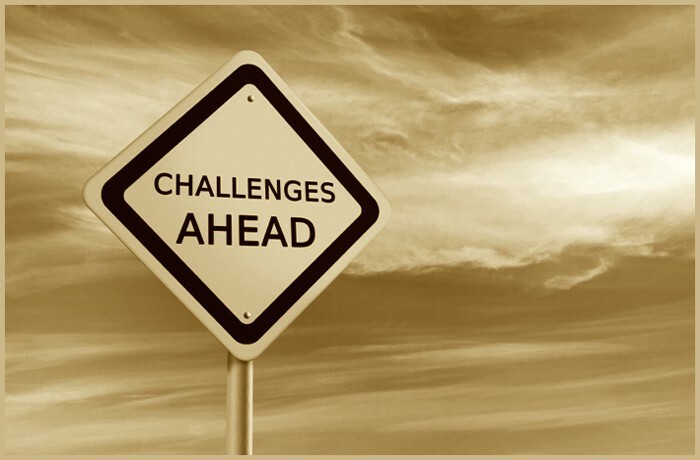 Challenges are essential components of one's character. They give a person an inner steel to make their life count. To make their dream matter. One should never be afraid of the roadblocks of life, because the challenges ahead make one appreciate their success even more when they achieve it.